Don’t move your furniture and install your appliances just yet. It’s tempting to purge the contents of your moving boxes in every which way around your home, hoping for your belongings to magically fall into place. If you’re one of six Americans that move every year, you know the hassle and excitement of moving day. When you’ve made it to your new abode and your belongings have arrived, take some time to inspect everything. 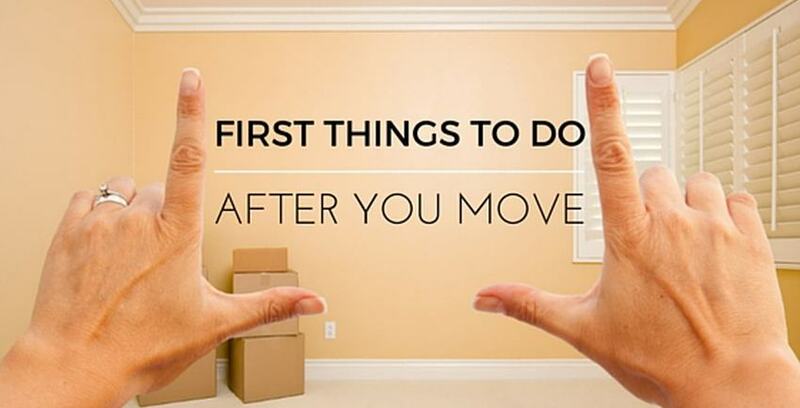 Notify the moving crew if anything is missing and note any damage to your belongings right away. Instead of living with the clutter as you’re slowly unpacking, unpack the things you’ll need and use for the time being. Figure out where to keep all the essentials and basic items, such as kitchen supplies, clothes, bedding and other things you’ll use immediately. It may seem like a mess when some things are unpacked and the rest of your home looks like a stocked store, but it will save you from frantic searching as you go about adjusting to your new home. As much as you love the bright sunlight streaming into your home during the day, your home is going to give off quite the glow when the sun sets and all your neighbors can see inside. When night falls, you probably don’t want everyone watching you unpack inside your home. Invest in some window treatments or put up some sheets until you have a more permanent solution. Even if your neighbors did see you through the uncovered windows, it’s best to meet them in person at some point. Within the first week that you move in, introduce yourself to those around you. You never know when you will need their help or the comfort of a trusted acquaintance across the street. Your home was probably already clean when you moved in, but there’s peace of mind knowing that everything is clean to your standards with nothing left out. You can be as extensive as you want – doing some extra cleaning when you move in is always a good idea. It’s easiest when not everything is unpacked. That way, you won’t have to work around large pieces of furniture and small knick-knacks on all those shelves. If you need a place to store your extra things, Storage Direct can help. We offer secure, nationwide facilities that are sure to accommodate your needs, from climate control to document storage. Contact us today to learn more or find a location near you!